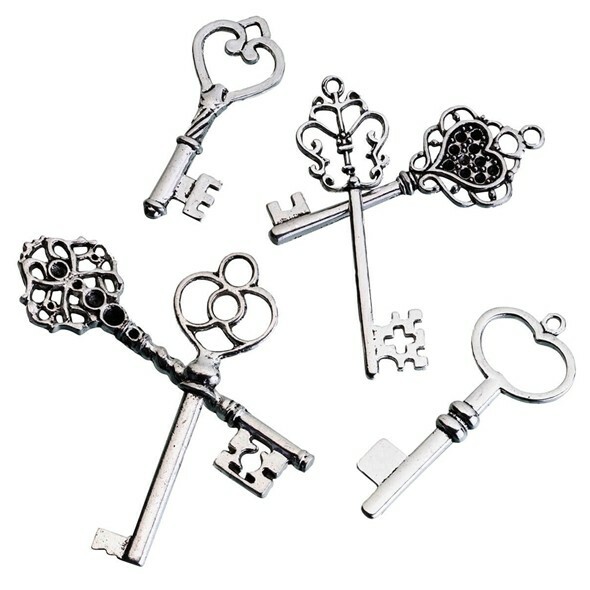 This set of 24 silvered-metal keepsake keys in six (6) styles (in assorted sizes) will unlock countless possibilities. Pair them with a set of our well wishes key tags for guest signing, available separately as Product Codes: LR-GA290 and GA810-A. PLEASE NOTE: Sold as a set of 24 and prices quoted below are per set.